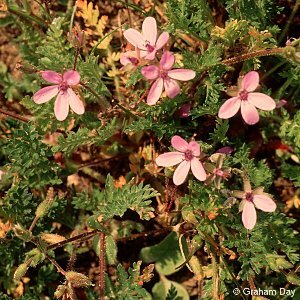 Stork's-bill gets its name from the long narrow bill-like 'beak' of the fruits. 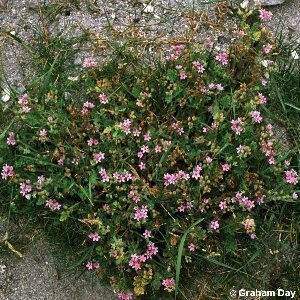 The flowers are rather small and pinkish-purple. A typical plant of sand dunes. 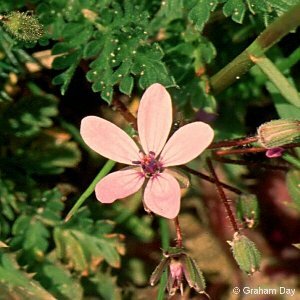 All names: Erodium cicutarium agg (L.) L'Her.